A bit of planning and research can mean the difference between a run-of-the-mill vacation and an outstanding one! Wander wisely in Guymon by familiarizing yourself with a few details about it before you jet off. Guymon is located in Northwest Oklahoma, 40 miles (64 kilometers) from Liberal. It's an area of Northwest Oklahoma that roughly 11,000 people call home. Gain ridiculously good savings on Travelocity's Guymon fight and accommodation package deals. You'll also have plenty to pick from with more than 400 airlines and 665,000 properties. Our Customer 1st Guarantee gives you 24/7 personal assistance on everything from flights and accommodations to car rentals and experiences. Noticed a better deal? We'll meet the price and refund the difference^. 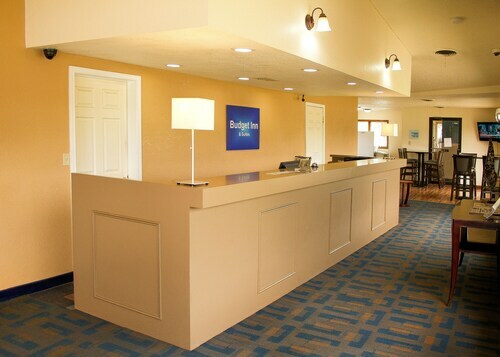 You can change your travel bookings with no hidden charges on our end. Do you know what that means? Less stress for you! And as long as you get in quick, many accommodations don't charge extra fees either^. Looking for accommodations in Guymon? Don't be left with uninviting choices (or none at all) because you took too long to book. There are only 7 places available here, so hop to it! 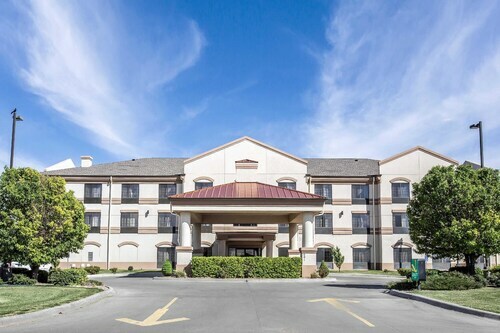 The Holiday Inn Express Hotel & Suites GUYMON and Quality Inn & Suites are some of Travelocity's top accommodation options around Guymon. Where do you fly into for Guymon? Put on your headphones and select an in-flight movie. In no time, you'll reach Mid-America Regional Airport (LBL). It's approximately 35 miles (56 kilometers) from the center of Guymon. Can I rent a car in Guymon? While the popular tourist areas in Guymon can be fun to see, why not step away for a while and experience completely new sights with a rental car via Travelocity? How about a breather in the great outdoors? The large open space at Thompson Park is a terrific place to kick a ball around or just stop and put your feet up. Want more options? Whether you're searching for some general supplies, new clothes or a last-minute souvenir, you'll be able to buy it at North Ridge Shopping Center. With plenty of stores all in one spot, get set to shop 'til you drop! And that's not all there is. Take in the artworks at Wild Horse Gallery. If something takes your fancy, talk to the attendant and learn about the person behind it. Liberal is loved by adventurers. It's situated 40 miles (64 kilometers) from Guymon, and there's no lack of things to do. The Willow Tree Golf Course is a fantastic place to start learning the story of this area. Adventure Bay Water Park and Light Park shouldn't be missed either. Located 45 miles (72 kilometers) away, Perryton is one more neighboring destination. While you're here, make sure you get to the Museum of the Plains, Murphy Park and the Perryton Municipal Golf Course. 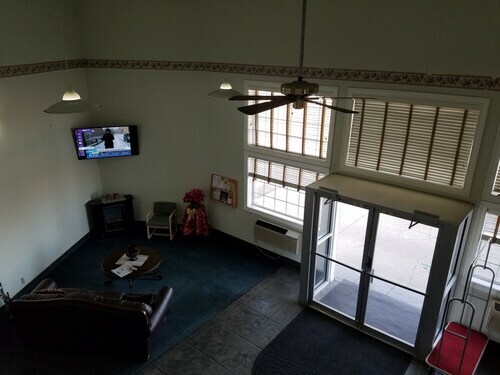 Situated in Guymon, this motel is within 2 mi (3 km) of Wild Horse Gallery, Guymon Community Theater, and North Ridge Shopping Center. Thompson Park is 1.9 mi (3 km) away. Situated in Guymon, this hotel is within a 15-minute walk of Guymon Community Theater and Wild Horse Gallery. Thompson Park and North Ridge Shopping Center are also within 2 mi (3 km). Situated in a rural location, this hotel is within 1 mi (2 km) of Guymon Community Theater and Wild Horse Gallery. Thompson Park and North Ridge Shopping Center are also within 2 mi (3 km). Situated in Guymon, this hotel is within 1 mi (2 km) of Guymon Community Theater and Wild Horse Gallery. Thompson Park and North Ridge Shopping Center are also within 3 mi (5 km). 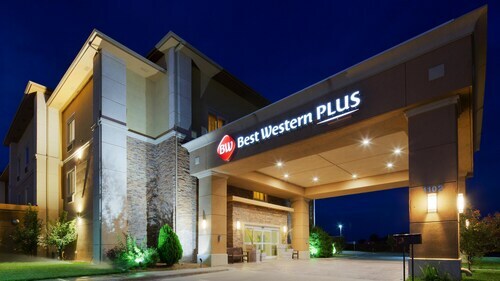 Situated in a rural location, this hotel is within a 10-minute walk of Guymon Community Theater and Wild Horse Gallery. Thompson Park and North Ridge Shopping Center are also within 2 mi (3 km). Situated in Guymon, this hotel is within 1 mi (2 km) of Guymon Community Theater and Wild Horse Gallery. Thompson Park and North Ridge Shopping Center are also within 2 mi (3 km). Situated in Guymon, this hotel is within a 15-minute walk of Guymon Community Theater and Wild Horse Gallery. Thompson Park and North Ridge Shopping Center are also within 3 mi (5 km). 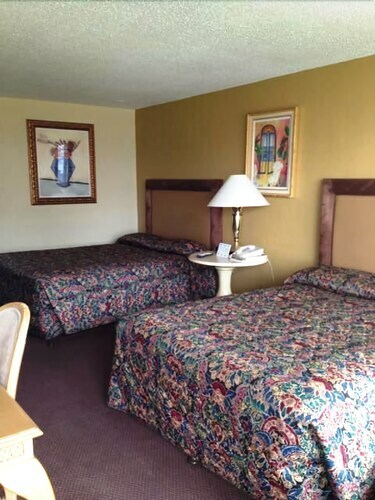 Located in the heart of Guymon, this motel is within 2 mi (3 km) of North Ridge Shopping Center, Wild Horse Gallery, and Guymon Community Theater. Thompson Park is 1.7 mi (2.7 km) away.